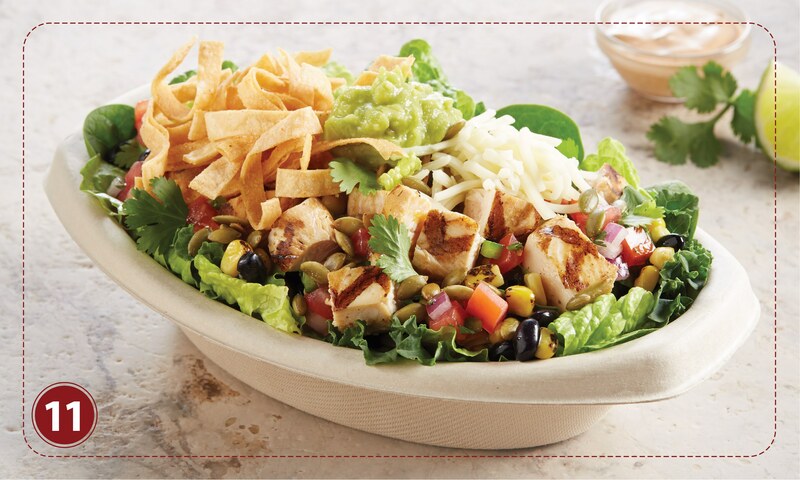 Fresh Healthy Kale and Greens, Fire-Grilled Chipotle Chicken, Black Beans, Pico De Gallo Salsa, Roasted Corn, All Natural Jack Cheese, Guacamole, Tortilla Strips & Toasted Pepitas, Fresh Cilantro. 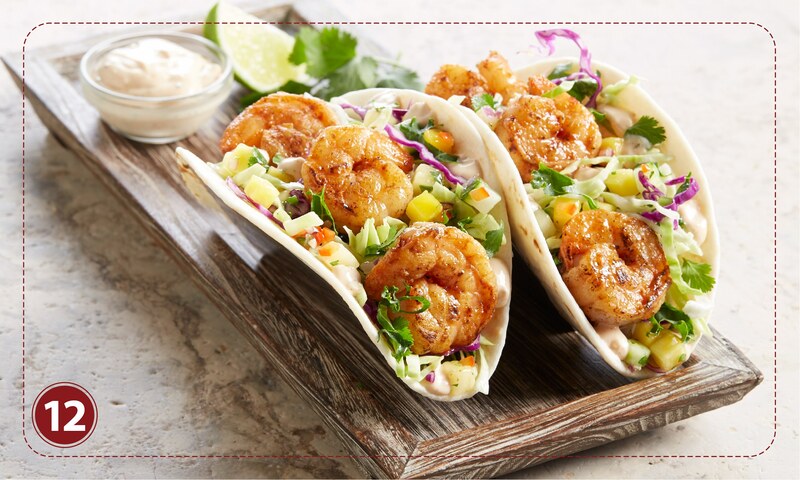 Served with Chipotle Ranch Dressing. fresh mango pineapple salsa, Chipotle Ranch, fresh lime & cilantro. 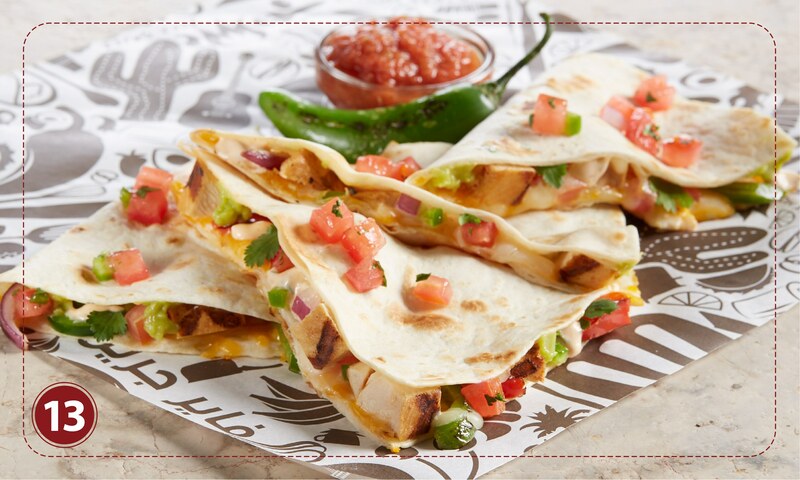 A natural flour tortilla with Fire-Grilled Chipotle chicken, fajita bell peppers & onions, 100% Natural Wisconsin Jack & Cheddar Cheeses, Guacamole, Chipotle Ranch Dressing, and Pico de Gallo Salsa on the side. 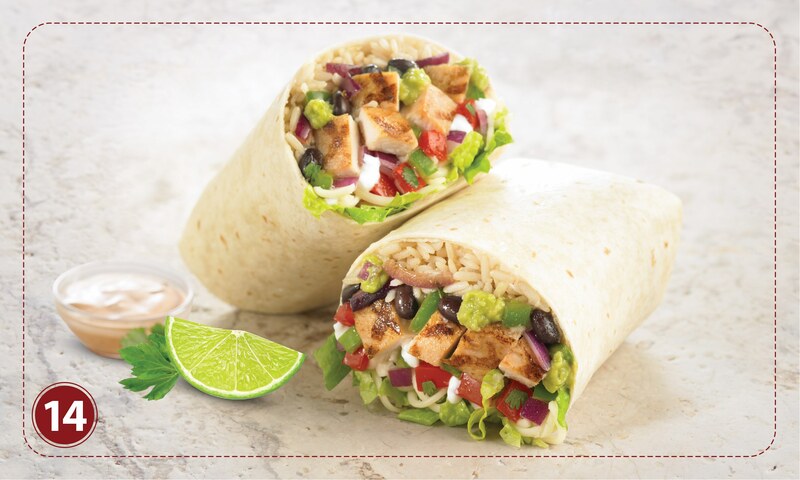 Fire-Grilled Chipotle chicken, Organic Black beans, Organic California Brown rice & Quinoa, healthy greens, 100% Natural Monterey Jack Cheese, guacamole, Chipotle Ranch, Pico de Gallo, Fresh cilantro & lime. Our High Protein “Fitness” Bowl is made with two Chipotle Chicken breasts, both High Protein Organic Black Beans & Organic Pinto Beans, two scoops of Organic Quinoa & Brown Rice, 100% Natural Monterey Jack Cheese, Chipotle Ranch Dressing, Guacamole, Fresh Greens, Cilantro and Lime!